This Chia Strawberry Shortcake Parfait was the happy result of an accident. We were on a good nightly kick of classic strawberry shortcake until I accidentally dropped and shattered the glass container of whipped cream on the kitchen floor. Messy. Luckily, true tragedy was averted when I improvised this dessert featuring my Very Vanilla Chia Pudding that I’ve been tinkering with for ages and a vanilla bean yogurt. My husband now likes it better. Cha-Cha-Cha-Chia! 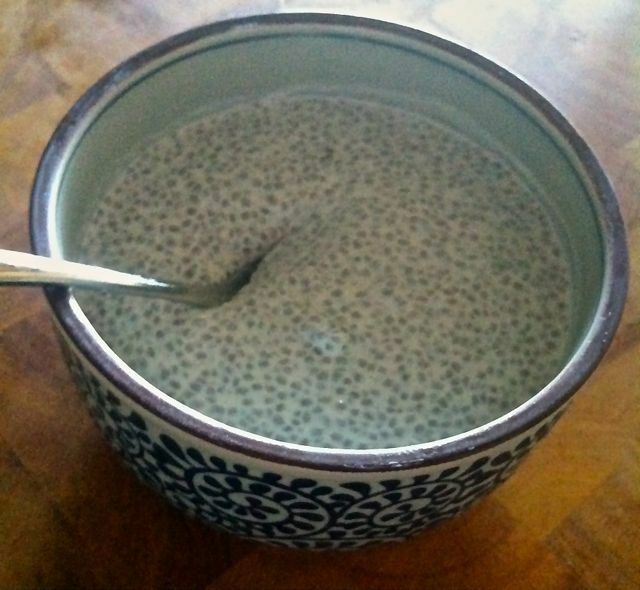 If you are only familiar with Chia as in Chia pets, then you are in for a treat! 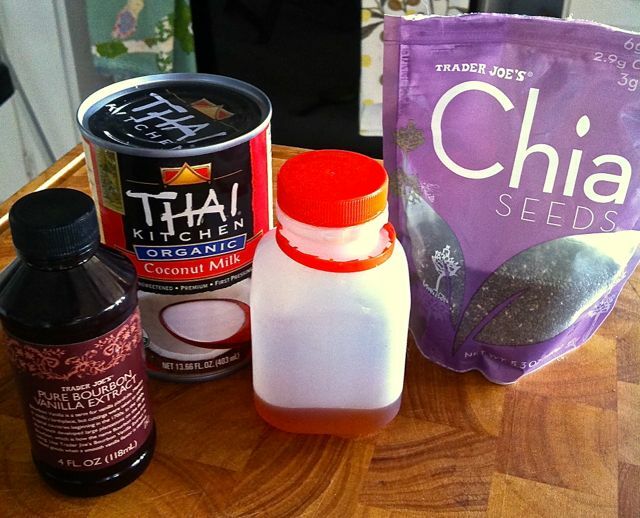 The same plant that grows a furry covering on chia pets is also the health food of the moment. The seeds are loaded with Omega-3’s, protein, fiber and antioxidants. They have very little calories and can be thrown into smoothies, oatmeal, or just about anything. I think they look like poppy seeds and when eaten dry, I feel like they get stuck in my teeth. Luckily, their coolest feature is that they can turn nearly any liquid into a pudding, plumping up to resemble little tapioca balls, without cooking! 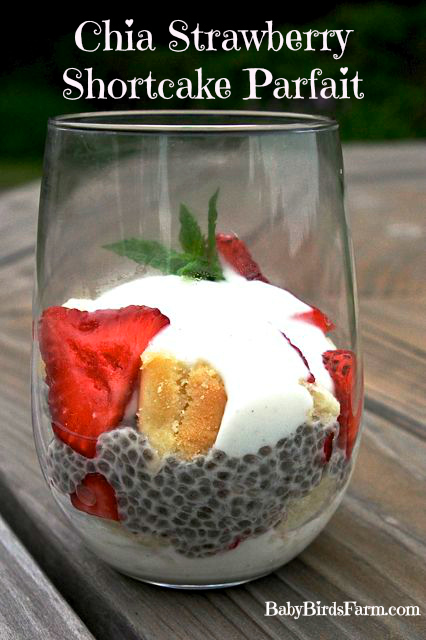 Try it out as a healthy pudding or in this chia strawberry shortcake parfait. Mix all the ingredients well and chill in the refrigerator. IMPORTANT: For best results, stir the pudding again after 45 minutes to prevent all the seeds from falling and clumping at the bottom. Chill for 2-3 hours or until set. Rinse and slice ripe (preferably organic) strawberries and place in a bowl. Toss with 1 teaspoon of sugar or sweetener of your choice. Chill for 30 minutes or until a slight syrup forms. This entry was posted in Dessert, Food, Healthy Recipes, Recipes for the Whole Family, Seasonal Recipes and tagged baby and me dishes, easy farm to table, easy seasonal cooking, easy seasonal recipes, healthy desserts, meals for the whole family, strawberry. Bookmark the permalink.